This kit comes with 3 pieces of same sized pads, made with high quality FDA approved silicone. non-stick pads will save you a lot of time cleaning the mess. Do not use on open flame or slice into small pieces. Silicone Alley provides various size options in our store. This kit is perfect for handling sticky materials such as lip balm, spices, wax, painting, cream and anything you could think of. 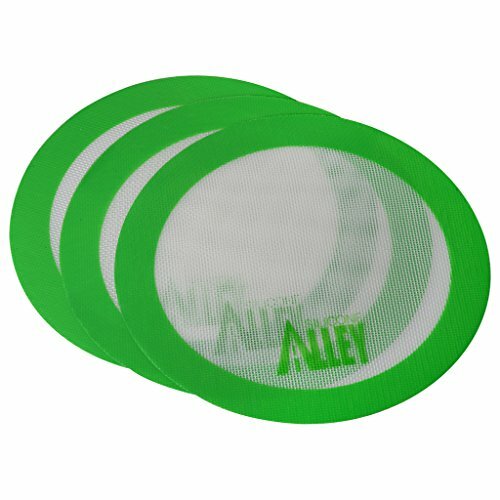 Use these nonstick pads / mats for anything! Baking pies, pizza, pastries and more - in ANY type of oven - high temperatures are no problem! FDA Approved. BPA Free. Silicone Alley is your one-stop store for all wax needs. Fast Shipping. Satisfaction Guaranteed.